On 2004, JOOP! GmbH requested the Polish Patent Office to invalidate the right of protection for the word trade mark JUUPI ! R-103654 registered for goods in Class 3 and owned by “AQUAREL” Kosiorek Spółka Jawna. The German company argued that JUUPI ! is similar to its trade marks JOOP! R-64463 and JOOP! IR-73926 that were registered with the earlier priority. The PPO in its decision of 7 February 2006 no Sp. 323/04 dismissed the request. Joop! filed a complaint against this decision, but the Voivodeship Administrative Court in its judgment of 13 October 2006 case file VI SA/Wa 1339/06 dismissed it. Joop! decided to file a cassation complaint. The Supreme Administrative Court in its judgment of 5 July 2007 case file II GSK 98/07 overturned the judgment of the VAC and sent it back for further reconsideration. The SAC held that the PPO and the VAC misinterpreted the provisions of the Polish Industrial Property Law with regard to the knowledge and awareness of the requesting party on the use of the later trade mark for a period of five successive years. The Voivodeship Administrative Court in Warsaw in its judgment of 12 October 2007 case file VI SA/Wa 1403/07 re-examined the case in accordance with what has been determined by the Supreme Administrative Court. The case went back to the PPO. Meanwhile, JOOP! GmbH transferred the rights to JOOP! R-64463 and JOOP! IR-73926 to COTY B.V. COTY appointed its representative (advocate), who submitted to the case file properly paid power of attorney that authorized him to act in this particular case, together with a copy of the relevant register of companies, however it was not recorded in the minutes and documents offered have not been adopted in the case file, which also has not been recorded in the minutes of the hearing, because the Polish Patent Office did not consider these requests and documents as coming from the party of the proceedings. The PPO dismissed the request, and decided that opposed trade marks are not similar, and the reputation of JOOP! R-64463 has not been proven. COTY filed a complaint against this decision. The Voivodeship Admiistrative Court in Warsaw in its judgment of 2 August 2012 case file VI SA/Wa 122/12 dismissed it and ruled that the existence of legitimacy to file a complaint is subject to examination by the administrative court. This is the basic step, the result of which depends on the further course of the proceedings. The finding by the court that the complaint to the administrative court was brought by a party without legitimacy to file such a complaint, resulting in dismissal of the complaint without examining the merits of the contested decision. The Court held that the transfer (assignment) of trade mark rights in the course of proceedings before the Court for invalidation of the right of protection for a trade mark, i.e. rights to a trade mark that was used as an opposing sign, does not create the right for the new owner to seek legal interest (locus standi) in this proceedings as a party to the proceedings. Categories: Art. 162 IPL | Art. 164 IPL | legal interest | Polish Act on Industrial Property Law | Polish Patent Office | trade mark invalidation | trademark law | Voivodeship Administrative Court. 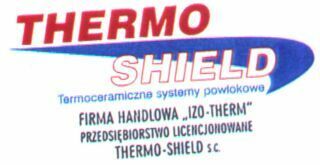 On May 2007, the Polish Patent Office granted the right of protection for the word trade mark Vondutch R-190394, that was applied for by “SEREN TEKSTIL” Sp. z o.o. for goods in Class 25 and Class 35. The Irish company V D Europe from Dublin filed a notice of opposition to the decision of the Patent Office on the grant of a right of protection. V D Europe argued that it is the owner of the CTM VON DUTCH no. 000336495, that was registered with the earlier priority of 8 August 1996 for good in Class 25. On 20 January 2010, the patent attorney representing V D Europe informed the PPO that the company Royer Brands International Sàrl is the new owner of the CTM VON DUTCH. The representative provided proper evidence of total transfer of ownership, and the POA from the new owner. The Adjudicative Board of the Polish Patent Office in its decision of 3 February 2010 case no. Sp. 499/08 dismissed the opposition, and decided that Royer Brands International has no rights to conduct proceedings that were started by another company. The PPO ruled that Royer Brands International is not related structurally, financially, or linked in any legal way with V D EUrope. The PPO decided that the request was unfounded, because the owner sold its rights to a trade mark. Royer Brands International filed a complaint against this decision. The Voivodeship Administrative Court in Warsaw in its judgment of 23 November 2011 case file VI SA/Wa 1530/11 repealed the contested decision, ruled it unenforceable, and returned the case to the PPO for further reconsideration. The Court found that Royer Brands International has confirmed all the declarations of will and actions that were taken during the opposition proceedings by every person acting on the basis of previously submitted POA. In the opinion of the Court, the wording of Article 162 of the Polish Act of 30 June 2000 on Industrial Property Law – IPL – (in Polish: ustawa Prawo własności przemysłowej), published in Journal of Laws (Dziennik Ustaw) of 2001 No 49, item 508, consolidated text of 13 June 2003, Journal of Laws (Dziennik Ustaw) No 119, item 1117, with subsequent amendments, was deciding in the present case. 1. The right of protection for a trade mark may be assigned or be subject to succession. The provisions of Article 67(2) and (3) shall apply accordingly. 11. The right of protection for a trade mark may be transferred to the organizations referred to in Articles 136 and 137 as a collective trade mark or collective guarantee trade mark respectively or to a number of entities as a collective right of protection. 13. Entry in the trade mark register of the transfer of the right of protection, referred to in paragraph (11) after the regulations governing use of the trade mark, referred to in Article 122 (2), Article 136(2) or Article 137(1) have been submitted. 14. A collective right of protection may be transferred to a single party as a right of protection for a trade mark. 3. The right of protection for a collective trade mark may be assigned as a joint right of protection to the undertakings grouped in the organisation referred to in Article 136. The contract of assignment shall determine the rules governing the use of such trade mark to the extent to which it is practised in respect of the regulations referred to in Article 122(2). 31. A collective right of protection may be transferred to the organizations referred to in Articles 136 and 137 as a collective trade mark or a collective guarantee mark. A contract for the transfer of the right should specify the rules governing use of that trade mark to the extent as it is provided for in respect of the regulations referred to in Article 136(2) and Article 137(1) respectively. 4. The right of protection for a trade mark may also be assigned in respect of certain goods for which the right of protection has been granted, if the goods for which the trade mark remains registered on behalf of the vendor are not of the same kind. Once assigned, the right in question shall be dealt with as independent of the right enjoyed by the vendor. This provision introduces a general principle of transferability of the right of protection for a trade mark. The disposal of rights of protection may be primarily based on a contract of sale, exchange, or a contract of donation. However, it should be also stressed that the agreement transferring the right of protection shall be in writing, in order to be valid. Also, the relevant provisions of the Administrative Proceedings Code – APC – (in Polish: Kodeks postępowania administracyjnego) of 14 June 1960, published in Journal of Laws (Dziennik Ustaw) No 30, item 168, consolidated text of 9 October 2000, Journal of Laws (Dziennik Ustaw) No 98, item 1071 with subsequent amendments, were applicable in this case. § 1. Legal capacity and the capacity to enter into legal transactions shall be determined according to the provisions of civil law, unless specific provisions provide otherwise. § 2. Natural persons with no capacity to enter into legal transactions shall act through their legal representatives. § 3. Parties not being natural persons shall act through their legal or statutory representatives. § 4. In matters concerning transferable or hereditable rights, in case of a transfer of the right or death of the party during the pendency of the proceedings the legal successors of the party shall join the proceedings in lieu of the party. In the opinion of the Court, Royer Brands International, under the law being in force in the Republic of Poland, has not only become the legal successor to the CTM VON DUTCH, which was the results of the valid contract of transfer of the Community trade mark, that was accepted and confirmed by OHIM in 2009, but is also the legal successors in the opposition proceedings. This means that the PPO has committed a violation of the provisions of substantive law (regulations included in Article 162 of the IPL) through their incorrect interpretation, and consequently its improper application in the case. Furthermore, the Court ordered the PPO a careful analysis of the substantive merits of the opposition, including the similarity of the signs. Categories: Art. 132(2)(ii) IPL | Art. 162 IPL | Art. 246 IPL | Art. 30 APC | company name or firm | personal rights or interests | Polish Act on Industrial Property Law | Polish Administrative Proceedings Code | Polish courts | Polish institutions | Polish law | Polish Patent Office | trade mark opposition | trademark law | Voivodeship Administrative Court.